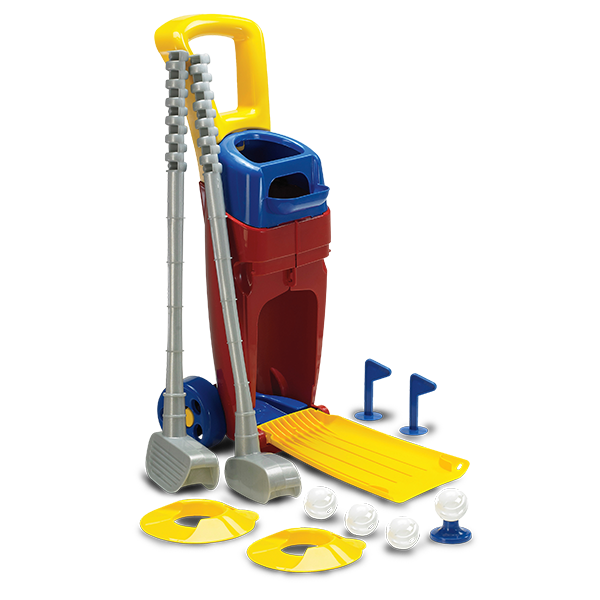 JUNIOR PRO GOLF SET | American Plastic Toys Inc. This golf set is a hole in one! Kids will love practicing their putting with this set. It features 11 accessories, including two puts, three golf balls, and more.